Tuberculosis is the world’s leading infectious disease and it accounts for one in three deaths from HIV/AIDS, according to the World Health Organization’s 2018 report on TB. 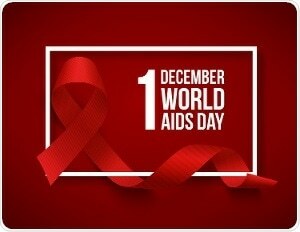 This is why on World AIDS Day, Dec. 1, the Forum of International Respiratory Societies (FIRS), of which the American Thoracic Society is a founding member, is calling on governments, health advocates and non-government organizations to strengthen their response to AIDS and TB. The American Thoracic Society began in 1905 as the National Association for the Study and Prevention of Tuberculosis. Today, the ATS and the other founding members of FIRS, which represents the world's leading respiratory societies, are working together to improve lung health globally. Shortly after AIDS emerged, it fueled a global resurgence of TB that continues in many low- and middle-income countries. According to the Centers for Disease Control and Prevention, HIV infection is the strongest risk factor for progressing from latent to active TB. WHO estimates that the risk of developing TB is 16-27 times greater in people who are infected with HIV than those who are not. Those infected with HIV are also at greater risk of dying from pneumocystis jiroveci pneumonia (PCP), the most common opportunistic infection of HIV, and from bacterial pneumonia and Kaposi sarcoma. Since the beginning of the pandemic, AIDS has claimed 35 million lives and left 17 million children without one or both parents. Today nearly 40 million people are living with the disease. Of those, about 25 million live in Africa, according to the WHO. New HIV drug that is like a "Swiss Army knife of immunotherapies"
Effective antiretroviral treatment of the disease has increased to approximately 59 percent of those infected with HIV, but the WHO’s recent report on the disease highlights that people living with the disease in countries in the Eastern Mediterranean and in South-East Asia are much less likely to receive antiretroviral therapies. Increasing awareness of the continuing global threat of HIV-related disease and its link to TB and other respiratory diseases. Improving the health outcomes of people living with HIV through patient care and research into improved treatments and treatment strategies for both HIV and TB. Reducing the incidence and severity of HIV-related disease by strengthening mother-to-child transmission prevention programs and increasing the early use of antiretroviral therapy. Improving HIV education in at-risk communities to reduce the incidence of new HIV infections. Reducing HIV-related health disparities and inequities.